Sri Lanka’s wilderness is an exotic enchantment that has the sights and sounds of the beautiful Asian Elephants, feisty and elusive leopard, hairy sloth bear, the genteel deer, flamboyant birds and more exquisite creatures. 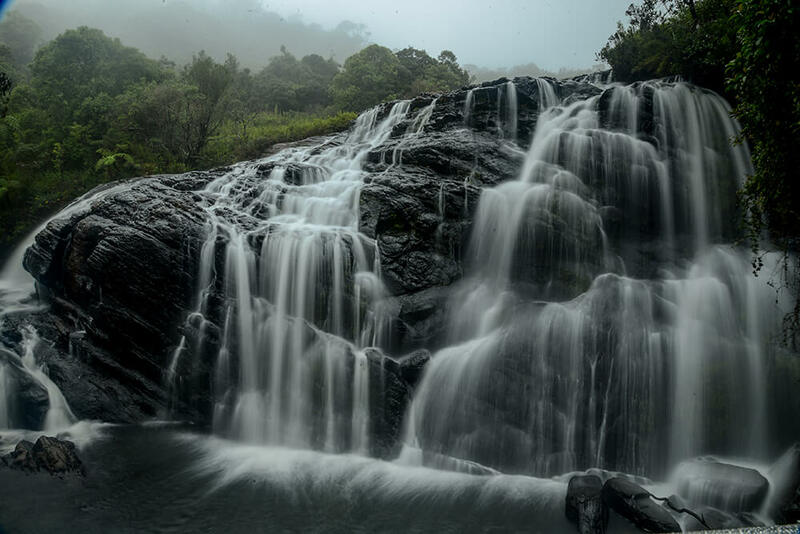 Despite its small landmass, Sri Lanka boasts one of the highest rates of biological endemism in the world whether in plants or animals and is included among the top five biodiversity hotspots in the world. 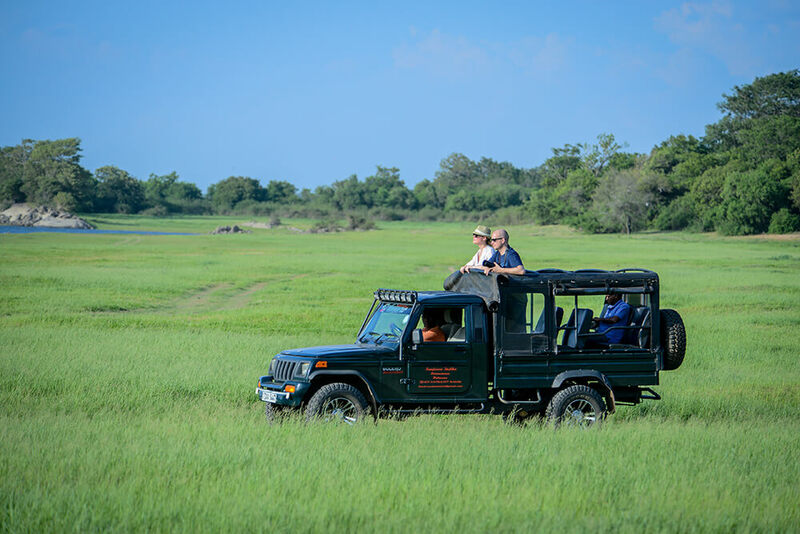 There are 22 National Parks in Sri Lanka and the most popular four Yala, Wilpattu, Minneriya and Udawalawe contain some of the most impressive wildlife found in Asia. Meanwhile the ocean around Sri Lanka is home to the mighty blue whales, sperm whales and lively dolphins. Yala, in the south-east is the most visited National Park in Sri Lanka and the second largest. There are six other National Parks and two wildlife sanctuaries in the vicinity of Yala. The Park is famous for its elephants, leopards and aquatic birds. It has the highest density of leopards in the world and hosts 215 bird species. You can also see the Sri Lankan sloth bear and the wild water buffalo, which are threatened species. 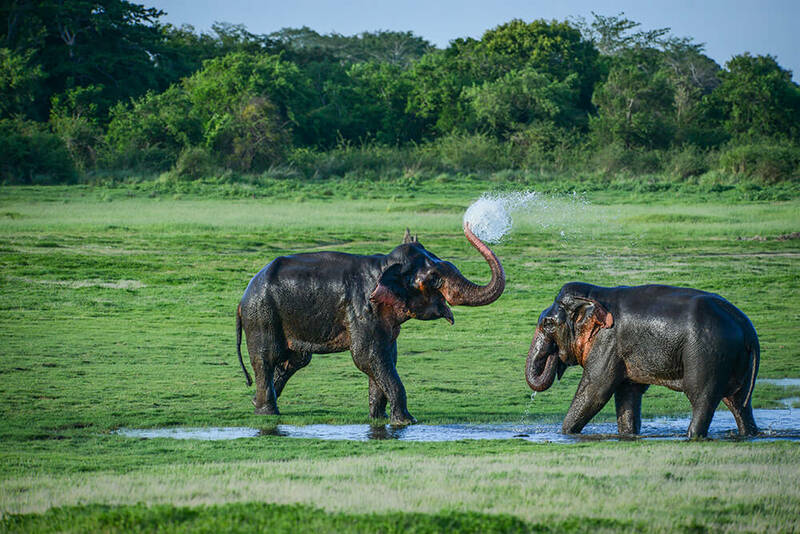 Menneriya National Park in the north-central province is a good place to spot large numbers of Asian elephants during July-August. Around 150-200 elephants migrate here from Wasgamuwa National Park, where the most number of Sri Lankan Elephants live. Minneriya Park consists of the Minneriya reservoir built in medieval times. The reservoir sustains these herds of elephants during the dry season and its catchment areas see a number of water birds. The park is also an important habitat for the two endemic monkeys of Sri Lanka, purple-faced langur and toque macaque. 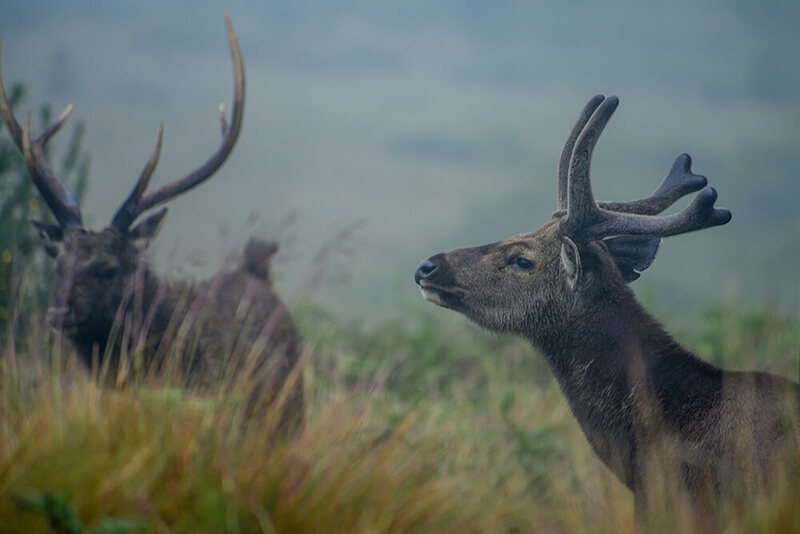 You can spot the sambar deer and the axis deer here, while leopards and sloth bear are also found. Wilpattu on the northwest part of the island is the largest national park in the country and is chiefly made of natural lakes, almost 60 of them. Here too, you can see elephants, leopards, bears, water buffalo, spotted deer and a large variety of birds and reptiles. Sri Lanka is also a whale and dolphin watching destination, in places on the south coast, northwest coast and east coast.